31.01.2015. On January 29th Georgian winemakers left for France to attend and participate in two important events. First of them is an exhibition in Angers, which will be held at Hotel des Penitentes from 31 of January to 1st of February. The event will be attended by Georgian winemakers Iago Bitarishvili, Niki Antadze, John Wurdeman (“Pheasant’s Tears”) and Johnny Oqruashvili (“Okro Wine”), who have been guests of the event for past three years. Georgian wine will also participate in second, bigger international event, which will take place from 2nd to 3rd February. 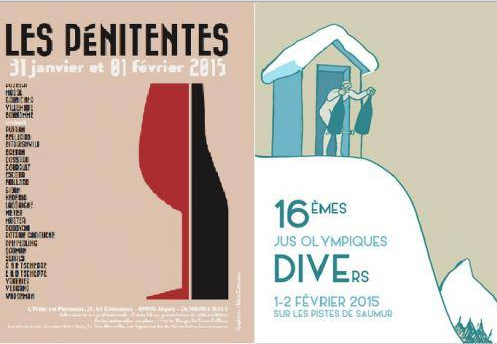 This is an international exhibition of natural wines “La Dive Bouteille”, an event which is held every year, one month after new year, in Saumur. Here a large family of winemakers and wine appreciators gathers. Georgian qvevri wine has already found its place. This is clearly demonstrated on the official website of the event: “This family becomes larger every year and unites all – motivated young people, comparatively forgotten winemakers, who may find American uncles, African cousins, Georgian ancestors or Italian brothers”. This year “La Dive Bouteille” will see the premier of Phlippe Gasnier’s documentary “Origins of Winemaking”. The movie is about ancient tradition of winemaking in Georgia and Georgian and French winemakers using qvevri wine technology. 31.01.2015. This is an interview with Nodar Kereselidze, deputy minister of agriculture of Georgia. Do you have information about reduction of Georgian wine exports to Russia? Do you plan to render any assistance to winemakers? On the official level, we did not receive any information about the presence of any obstacles in the export of Georgian wine to Russia. If specific companies have any difficulties associated with fluctuations in the ruble exchange rate, unfortunately, our government agencies will not be able to affect them. Wine companies also talk about such problems. According to them, due to the devaluation of the ruble, in January they had serious problems with the export of products to Russia. Do you know anything about this? Everyone knows Russia's current difficult economic situation, accordingly, we use all our capabilities in order to help our winemakers to diversify markets. For example, we recently took part in a very big wine exhibition in Berlin. Our goal is to bring our producers closer to European markets. 30.01.2015. Vine that we would like to introduce to you has never been kept in any of ampelographic lands of Georgia, until now. Though, it counts many years of existence in the village of Mejvriskhevi and villagers are making high quality rosés there. Mejvriskhevi – a historic village of Shida Kartli is – situated in 20 kilometers from Gori and at 800 m above sea level, on the left bank of the River Mejuda. As the name of the river says, village was named as Mejudaskhevi, in the past. Though, the village is situated at 800 m above sea level, it offers really perfect conditions for the development of winemaking fields. 29.01.2015. (Hvino News). Unlike Georgian wine, Georgian brandy exports to Russia have not been suspended (read more: Export of Georgian wine to Russia halted). Brandy producers note that demand for Georgian brandy in Russia is still high. 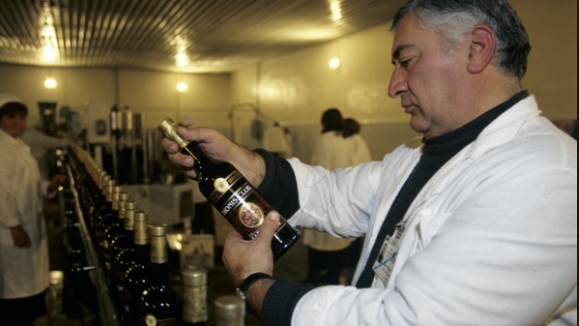 While the wine companies reported about decrease in exports of wine to Russia, George Sharvashidze of JSC Sarajishvili says that the export of brandy to Russia is carried out without any problems. The company exported about 60 000 bottles at the end of December. According to Sharvashidze, the company plans to carry out about the same volume of exports in a few weeks, however, adds that the future export capacity is not clear yet due to the devaluation of the ruble in Russia. Akaki Tsopurashvili, general director at Wine Company Shumi, states that in total 18 000 bottles of brandy have been exported to Russia. He says that they like Georgian brandy in Russia and the interest is big. 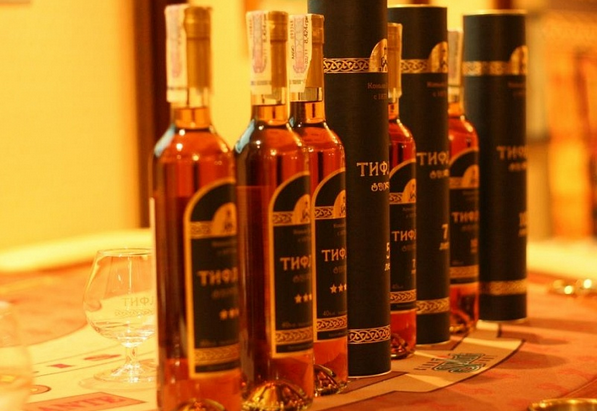 In Tsopurashvili’s words, the company already has a partner who is interested in the export of brandy from Georgia to Russia. 28.01.2015 (Hvino News) Prime Minister Irakli Gharibashvili has hosted Lithuanian Prime Minister Algirdas Butkevičius and the governmental delegation in Kvareli, Kakheti region. The Prime Minister invited the Lithuanian delegation to the touristic complex of Winery Khareba's “Gvirabi” ("Wine Tunnel"). The head of the Georgian Government briefed the Lithuanian guests about Georgian wine culture. The members of the delegation tasted Georgian wines and traditional meals. The official tester's note reads: "Garnet black color. Rich, fruity, toasty aromas and flavors of black raspberry pie and pencil shavings with a supple, tart, dry-yet-fruity medium body and an interesting finish conveying notes of tomato relish, mulberry, cranberry skin, and bark with hard tannins. A very structured, tannic red for the table." 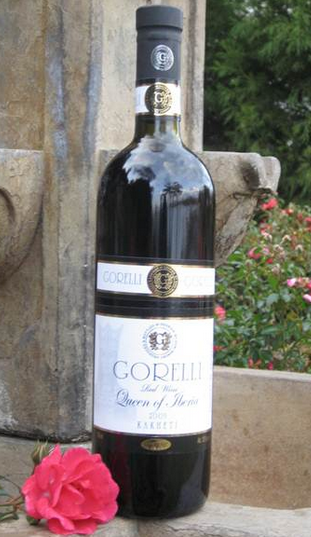 This Georgian wine by Gorelli won the prize at the 2015 World Wine Championship at the BTI, one of the oldest and most prestigious wine, beer and spirits rating agency in the world, making Gorelli Ltd the most decorated in overall Georgian wine producer in the USA. This was the only wine from Georgia which won the award this time at the BTI. Up to today Gorelli wines and B.S. brandy have won 12 Medals in the USA alone at Chicago (BTI), New York and Los Angeles World Championships. 25.01.2015 (Hvino News). The Georgian wine gallery was opened last week in Berlin (Germany) by the Tibaneli wine company. Tibaneli has been exporting Georgian wine to Germany since 2008. 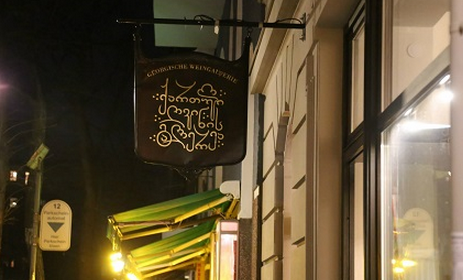 The new wine gallery is located in Savignyplatz in central Charlottenbourg district of Berlin. 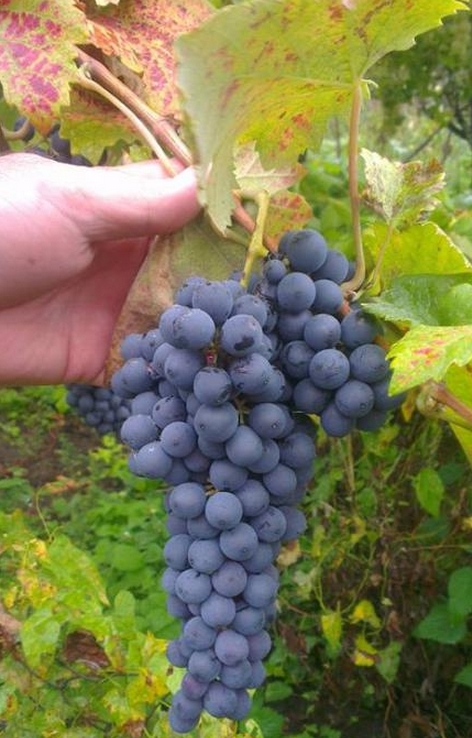 The visitors will be able to enjoy Georgian wine, chacha and brandy, according to Georgia’s Ministry of Agriculture. 25 products of Vinery Graneli, Askaneli Brothers, Twins Wine Cellar, Kvareli Cellar and Alaverdi will be presented at the gallery. Young Georgian painters will exhibit and sell their artwork at the gallery as well. Georgia’s Minister of Agriculture Otar Danelia noted that that rising awareness of Georgian products abroad is very important and especially after signing the Association Agreement (AA). Georgian wine will become much more demanded on European market, believes Danelia. The great intersection of quality and value in wine occurs in the $15- to $25-a-bottle range. Here, you can find wines that are not merely sound or decent but fascinating, without breaking the bank. This unusual wine, made from the ancient rkatsiteli grape, comes from the republic of Georgia, a cradle of winemaking history. 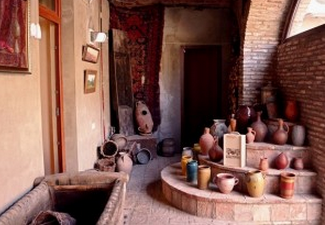 It is fermented and aged in a qvevri, a traditional clay vessel lined with beeswax and buried in the earth. The result is a deep amber wine with a raspy texture, steely and full-bodied, with aromas and flavors of apples, herbs and nuts. 24.01.2015 (Hvino News). Earlier this month Hvino News reported that American Forbes Magazine for the first time included the Georgian wines in its top wines list: See "Forbes" includes Georgian wines in its "9 Best Wines and Spirits to Start Drinking in 2015" (By the way, that article became the most-read post published by Hvino News ever). This theme's popularity is growing even stronger as Voice of America has now posted a video entitled Georgian Wines Make Forbes List of 'Best to Drink in 2015'. Forbes Magazine has named Georgian wines as one of the "nine best wines and spirits to start drinking in 2015" — a list that also includes several fine liqueurs and a number of other wine varieties. A number of Washington-area liquor stores and restaurants say Georgian wines are being well-received by consumers in the U.S. capital. 24.01.2015. The glass designed for Georgian Saperavi wine will appear on the local market in early February (read also here). President of Georgian Sommelier Association Shalva Khetsuriani says that a final version of the cup has been approved and is currently being manufactured by Austrian glass wine company Riedel. Khetsuriani explains that there will be two different versions of the glass: handmade (more expensive) and factory-made. The Saperavi glass will be intended for restaurants, hotels and wine lovers. Shalva Khetsuriani spoke of the geometry of the glass, which ensures its uniqueness. 23.01.2015. 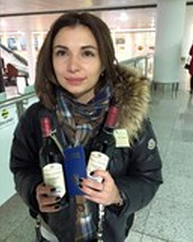 According to Nutsa Abramishvili, CEO of Schuchmann Wines, 10 trucks loaded with 100 000 bottles of wine stopped due to the limited transfer of foreign currency outside of Russia because of the ruble devaluation. “We’ve received excise stamps from Russia that have already been pasted on the bottles, in fact the products have been sold. But based on the fact that goods are shipped in case of prepayment and the transfer of currency abroad is limited because of the economic crisis, we had to stop already marked goods, “- she says. According to her, the shipment should be resumed in February, but due to the unstable situation in Russia, there is no guarantee that the problem will be settled, and the goods will be sent to partners. 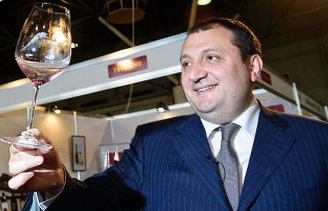 Founder of Askaneli Brothers company Jimmy Chkhaidze claims that due to the instability of the ruble, wine exports to Russia have been suspended – in particular, the company had no orders in January 2015. George Margvelashvili, director of Tbilvino, says the same thing. In his words, in December the company sent a large batch of wine, and in January, no orders have been received. The company’s CEO expressed hope that the delivery will continue in February – roughly, Tbilvino plans to export 100 000 bottles to Russia in February. 19.01.2015. January 20th will be last day when visitors of Georgia can get a free bottle of wine after crossing the border. 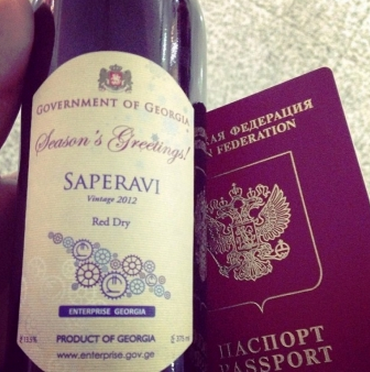 All foreign citizens arriving in any of Georgia’s three international airports from December 20 to January 20 are receive a bottle of Georgian wine as a gift. The campaign was initiated by Georgia’s Entrepreneurship Development Agency, a state agency created in 2014 with the aim of spurring the growth of business. A bottle of red dry Saperavi wine from the vintage 2012 collection is offered to each foreign visitor after passing through passport control. Read more here. The label on the gift wine bottles has Georgia's coat of arms and inscriptions "Government of Georgia" and "Season's Greetings!" The campaign has already gained popularity in social media. "This is the way they meet you at passport control, everyone gets a bottle of wine, Georgia already in love with you", Agenda.ge quotes a visitor. During the duration of the campaign, about 47,000 foreign guests were to receive a present, Georgia’s Entrepreneurship Development Agency said. 14.01.2015. As a country Georgia has been in our hearts and minds for several years. And you can’t discuss Georgian wines without putting them into their historical and cultural perspective. Once upon a time wild grape juice turned into wine when it was left buried through the winter in a shallow pit. This knowledge was nourished by experience, and from 4000 BC inhabitants of the current Transcaucasian region were cultivating grapes and burying clay vessels, qvevri, in which to store their wine ready for serving at ground temperature. 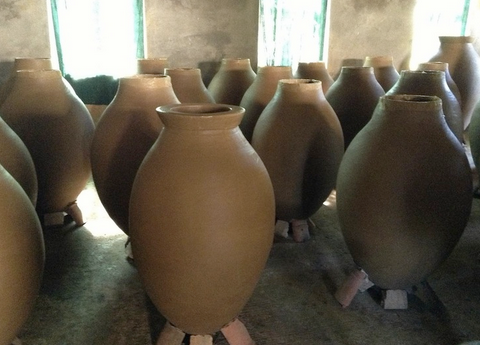 These qvevri were, and still are, very large terracotta clay jars fired in a kiln and then finished with an internal coating of beeswax. When filled with the fermented juice of the harvest, the qvevri are topped with a wooden lid and then covered and sealed with earth. The wine remains on the skins, stalks and seeds (the chacha) for a certain period, then will be decanted into a fresh qvevri, leaving the chacha behind (which can be later distilled into a fiery potion). Wine vessels of every shape, size and design have been the crucial part of pottery in Georgia for millennia. Ancient artifacts attest to the high skill of local craftsmen. Some were used for winemaking, others yet were used for drinking, such as khelada, doki, sura, chinchila, deda-khelada, dzhami and marani. The continuous importance of winemaking and drinking in Georgian culture is also visible in various antique works of art. Many of the unearthed silver, gold and bronze artefacts of the 3rd and 2nd millennia BC bear chased imprints of the vine, grape clusters and leaves. The State Museum of Georgia has on display a cup of high-carat gold set with gems, an ornamented silver pitcher and some other artifacts dated to the 2nd millennium BC. From classical Antiquity, Georgian museums display a cameo depicting Bacchus, and numerous sarcophagi with wine pitchers and ornamented wine cups found in ancient tombs. 12.01.2015. 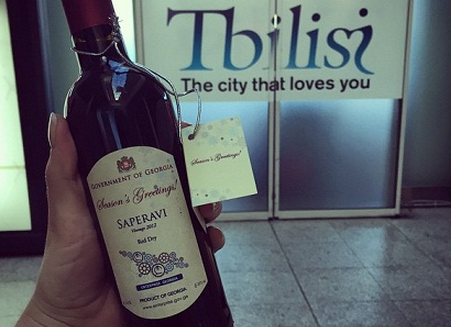 Sarajishvili, Gomi, Bagrationi 1882 and Teliani Valley will offer new products to their customers in 2015. While the import of alcoholic drinks sharply decreased in Georgia during 2014, the year appears to have been fairly successful for local producers. Euromonitor International has estimated Georgian alcoholic drinks to be one of the most promising markets in Eastern Europe. According to the National Statistics Office of Georgia, the import of alcoholic drinks in Georgia dropped in 2014 in comparison with the prior-year period. A total of 3,587,800 litres of alcoholic drinks, worth USD 47,052,400, was imported in Georgia during the first eleven months of 2014. The figure was 5,467,100 litres, worth 34,000,900, in the same period of 2013. With 2,025,200 litres, worth USD 15,088,600, vodka is the top imported alcohol beverage in Georgia. It is followed by whisky - the import of which amounted to 499,100 litres, worth USD 17,984,500. One of the leading vodka producers in Georgia, company Gomi, saw 15% sales enlargement in 2014 in comparison with 2013. The company produced 1,760,000 litres last year. JSC Sarajishvili [a brandy producer - HN] has continued its stable development and 2014 was no exception. “We ended the year fairly successfully. Like in previous years we had an increase in sales which were on average 15% higher than in 2013,” said Alexander Sakandelidze, head of sales at JSC Sarajishvili. 09.01.2015 (Hvino News). A wine company "Badagoni" plans to increase the range of products in 2015. According to the company’s founder Gogi Salakaia, the year 2014 was important for the company's development, a record number, namely 4 million bottles of wine, were exported, $ 5 million were invested that allowed the company to purchase a new production line. Salakaia says that by the end of the year the company will offer customers a sparkling wine and the company will increase a whole range of products. foreign visitors. 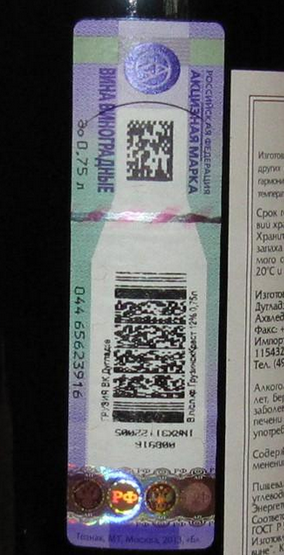 Passengers were given a bottle of good Georgian wine along with their issued visa at passport and border checkpoints. 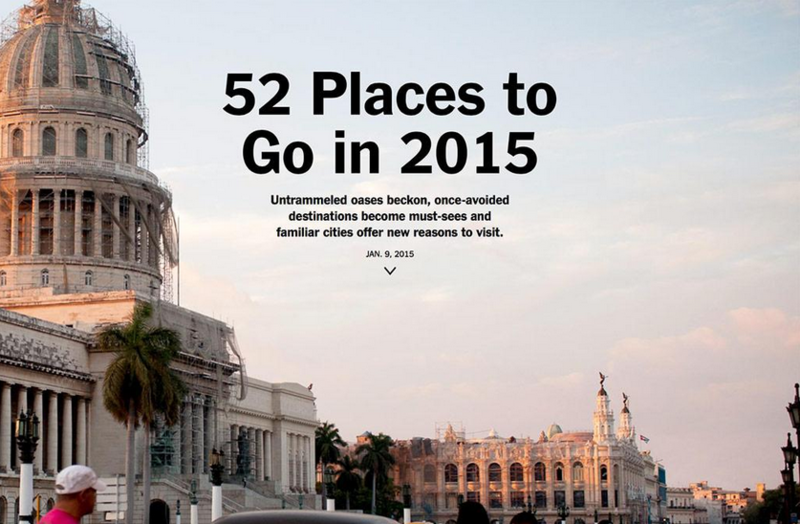 As the pleased passengers said, it is the best visa for years of travel. Visitors from Ukraine reported each of them was given even two bottles of Georgian wine - as a symbolic sign of Georgia's solidarity with Ukraine, and in connection with the New Year holiday. The label on the gift wine bottles has Georgia's coat of arms and inscriptions "Government of Georgia" and "Season's Greetings!" It's a red dry saperavi of 2012's vintage. Probably, the wine is produced by one of the Georgia's state-owned wineries. 06.01.2015 (Hvino News). Since January restaurants in Georgia will tighten control over the quality of wine - Otar Danelia, Minister of Agriculture, states. According to the National Food Agency, this decision was taken due to the fact that many restaurants sell wine of unknown origin that poses a serious threat to both consumers and the reputation of Georgian wine. Falsification is not only when one wine is sold instead of another in a bottle. Falsification is a poor quality wine diluted with water and sugar that happens quite often. There are cases when a special powder is diluted with water and the resulting liquid is called "wine". 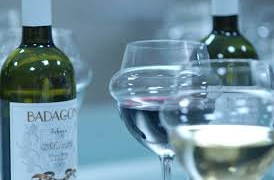 During monitoring restaurants will be required to provide proof that the sold wine is natural and contains no additives, "- say in the Agency. Restaurants will be required to carry out laboratory tests, and obtain a certificate that confirms the naturalness of wine thatdoes not remove the responsibility from manufacturers. According to these statistical results, the average person consumes the largest amount of alcohol in Belarus (17.5 liters a year). The second is highest is Moldova (16.8 liters), third place- Lithuania (15.4), fourth place – Russia (15.1), fifth- Romania (14.1). As for Georgians, according to the statistics, last year the average Georgian consumed 7.7 liters of alcohol during a one year period. 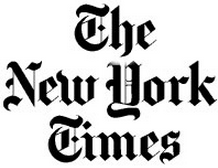 The result, besides men, includes women and adults above the age of 15. 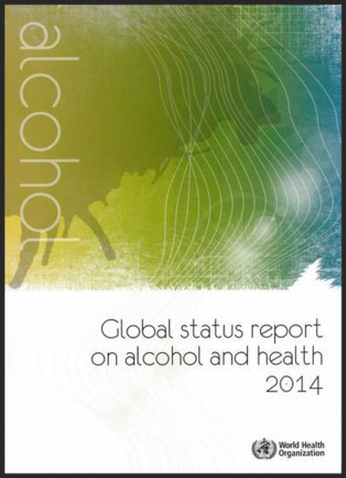 The authors of the survey note that the data includes homemade alcohol as well. According to the amount of homemade alcohol, Belarus is the leader, too. The rating includes predictions for of following year as well. According to that data, the average Georgian is expected to consume less alcohol, about -6.7 liters a year. "Forbes" includes Georgian wines in its "9 Best Wines and Spirits to Start Drinking in 2015"
The country of Georgia may not be familiar to the average wine drinker, but evidence suggests they’ve been making wine there longer than anywhere else (about 8,000 years). “They’re an exploration, a great way to open your mind to different worlds,” says Alice Feiring. “The 2012 and 2013 vintages are better than ever.” Orange wine (made when white grapes are allowed more skin contact time after crushing) is a popular method here and if you’ve never tried these wines, Feiring believes Georgia is the place to start. “Orange wines can sometimes be harsh with tannins and dried out,” she says. “But these wines have juiciness and a great balance of fruit and structure. Close your eyes, pretend you’re drinking a red and you’ll love it. ” Feiring highly recommends wines from Alaverdi Monastery, Pheasant’s Tears and Iago’s Wine. And if you want to learn more about these, and other natural wines, be sure to check out her newsletter. 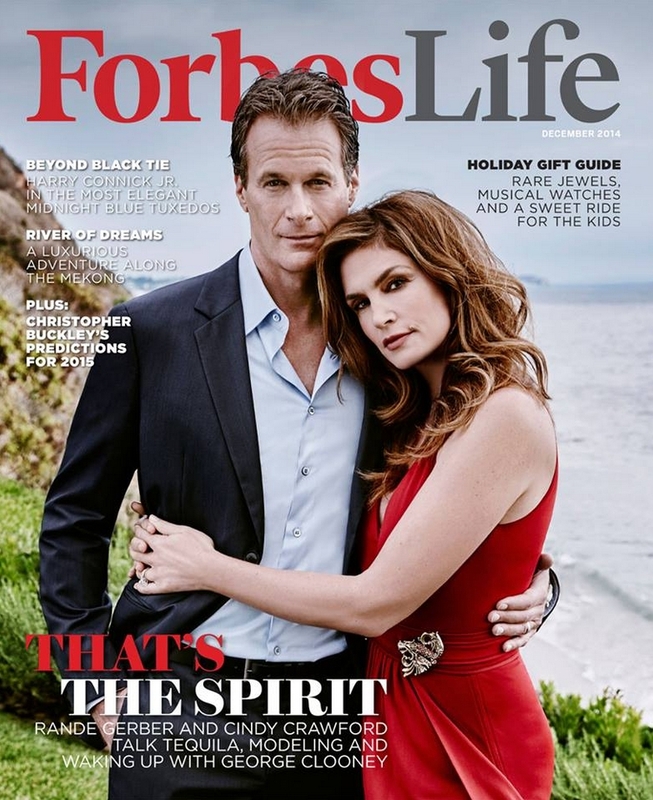 ForbesLife magazine is the lifestyle supplement of the leading U.S. business magazine Forbes, a "definitive destination for the finest fashion, travel, homes, art, dining—and life's other indulgences". Alice Feiring a is an American journalist and wine writer, known as an advocate for "natural wine". 03.01.2015. This is an essay that is long overdue. It’s been well more than a year since I ate delicious food paired with fantastic wines at Pheasant's Tears tasting room in Sighnaghi, Georgia. The dishes and the wine were wonderful and remain vivid in my memory, but they were also matched by the hospitality shown to me by the people of Pheasants Tears. My apologies, Gia, Tamar, Alex, and all of the other great folks I met that day. I hope that this post expresses how grateful I am for the time we spent together. From the moment one steps through the elaborately carved doors of Pheasants Tears, you know that this isn’t just another tasting. You can feel the difference in the dusky pink stones and bricks that line the walls of the tasting room and you can see it in the smiling and laughing faces of the guests. There is LOVE here. You are surrounded by people who love what they do and who are anxious to share it with you. Visits usually begin with a tour of the tasting room and its modest winemaking museum. A centuries-old carved, wooden basin for holding grapes for processing hints at old the art of vintning is in Georgia’s eastern Kakheti province. Sighnaghi is a few hundred miles from Areni-1 cave with its Copper Age wine production site (dated 4223 – 3790 BCE). In between these two points lies Shulaveri, Georgia where the oldest domesticated grape pips have been dated to eight thousand years ago. So clearly, viticulture, vintning, and wine drinking in Georgia are among the most ancient in the world.